If you crave adults-only luxury, you will instantly fall in love with the sophisticated ambiance at Hyatt Zilara Cancun. This notoriously elegant, all-inclusive resort provides the ultimate destination wedding experience for couples and guests alike. 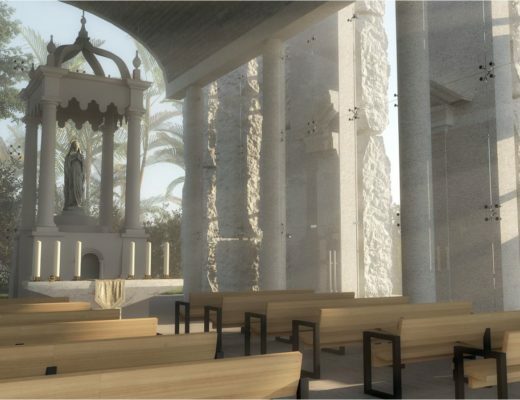 Home to multiple ballrooms, gazebos, and an oceanfront chapel, Hyatt Zilara Cancun can provide the exact wedding experience you and your sweetheart desire. 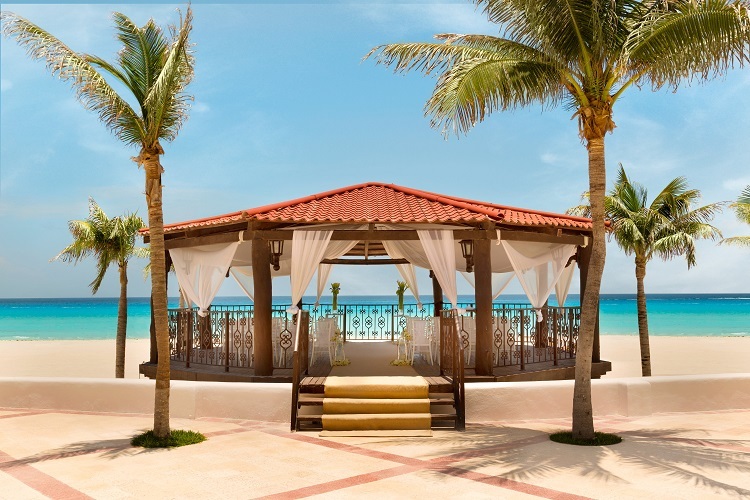 If you prefer an intimate ceremony before just a few close friends or family members, you’ll appreciate the resort’s gorgeous beachfront venues. 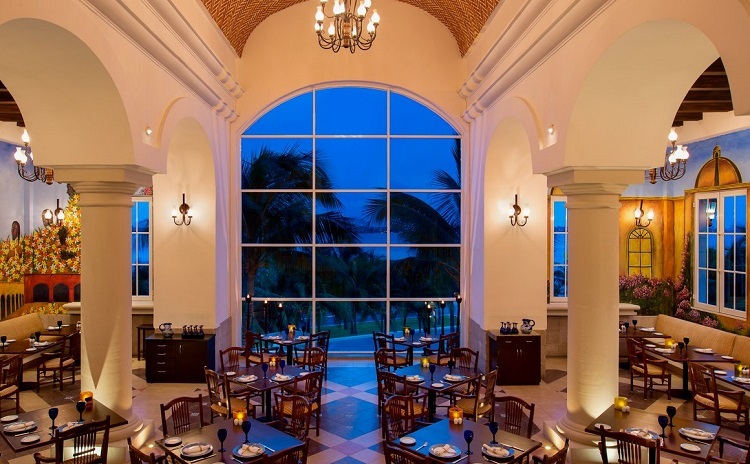 Hyatt Zilara Cancun can also accommodate larger affairs in its beautiful ballrooms. In addition to providing a wide range of venues, Hyatt Zilara Cancun allows you to choose from several destination wedding packages. 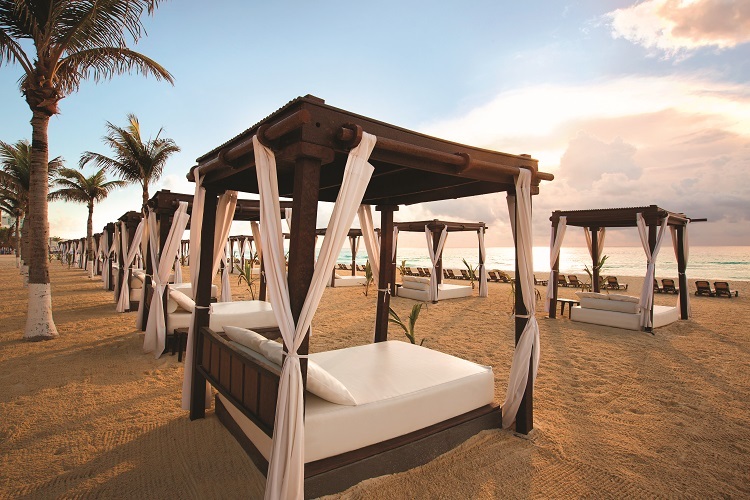 From free packages exclusively for couples to luxury packages accommodating up to twenty guests, Hyatt Zilara Cancun’s Mexico wedding packages are designed to elevate every aspect of the destination experience. The Lavish & Opulent Package, for example, ups the ante with a private cocktail hour and a three-course dinner after the ceremony. Furthermore, this luxurious wedding package heats things up with chocolate-dipped strawberries, champagne, and even couples massages. As you prepare for the most important day of your life, take advantage of Hyatt Zilara Cancun’s dedicated wedding specialists. These experts know exactly what it takes to execute picture-perfect, stress-free nuptials — and they’re willing to go the extra mile to ensure that weddings at Hyatt Zilara Cancun are even better than promised. 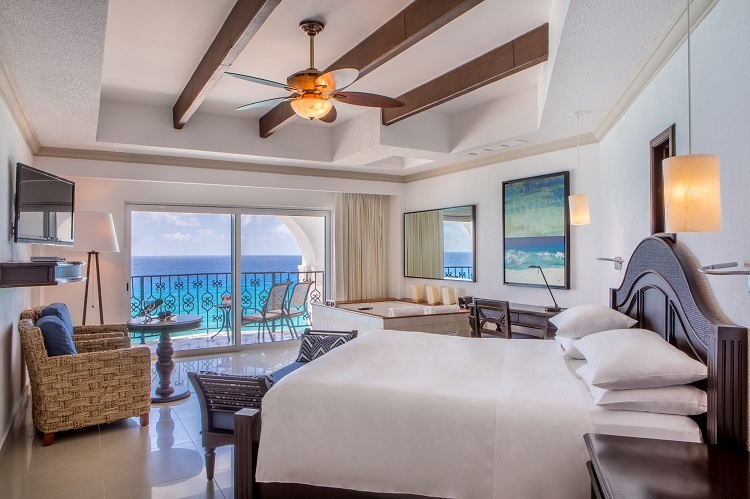 Hyatt Zilara Cancun offers a variety of suites to keep every type of visitor comfortable. 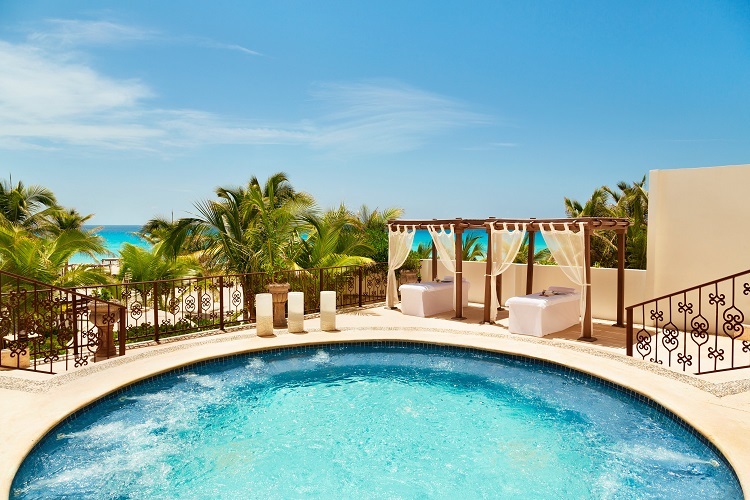 If you or your guests demand instant access to the pool, you’ll want to book one of the resort’s swim-up suites. As newlyweds, however, you may prefer the Presidential Suite. This luxurious penthouse boasts the resort’s best views — visible from the balcony, or, at night, from an exclusive telescope! No matter which suites you and your guests select, you’re guaranteed total comfort for the duration of your stay. Small touches such as designer toiletries and pillow menus make a big difference. 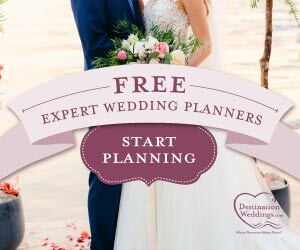 Need more destination wedding inspiration? Visit our website and Pinterest! The excitement never ends at Hyatt Zilara Cancun, where a variety of activities keep guests entertained as the wedding approaches and after the ceremony. 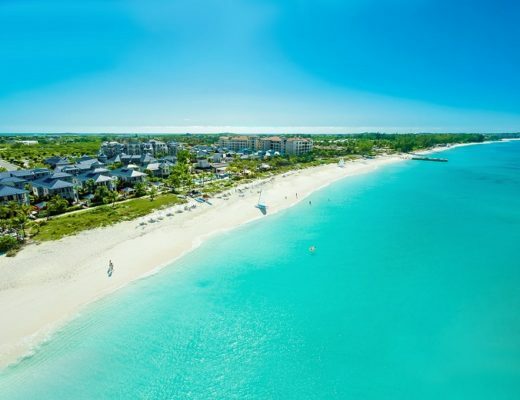 Many guests are content to spend their days soaking up the sun from the comfort of one of the Cancun Hotel Zone’s most impressive expanses of sand. For others, nothing beats a quick dip in the beachfront infinity pool. When you’re not lounging by the pool or at the beach, you and your guests will definitely want to take part in Hyatt Zilara Cancun’s afternoon activities. 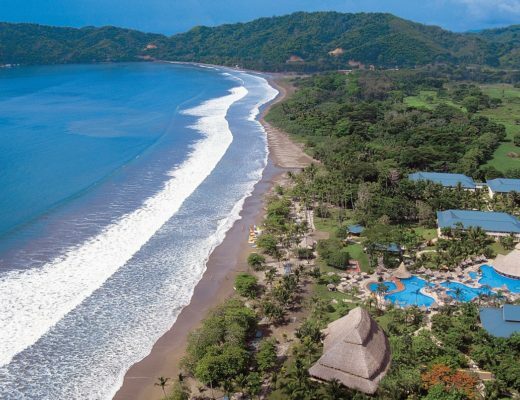 These include tequila tasting, cooking classes, and even foam pool parties! There’s plenty of fun to be had during the day, but Hyatt Zilara Cancun takes on a uniquely festive atmosphere when the sun goes down. Grab a drink at the bar and settle in for live entertainment, including music and dancing. With so much action, you’ll eventually desire an opportunity for complete rejuvenation. Spanning over 22,800 square feet, the resort’s Zen Spa includes eleven treatment rooms and a hydrotherapy circuit. The ultimate feast waits at Hyatt Zilara Cancun’s gourmet restaurants, which encourage you and your guests to broaden your horizons with a variety of culinary offerings. 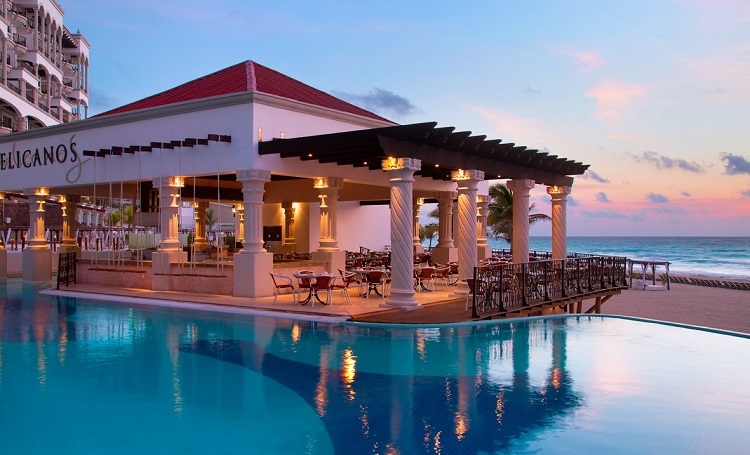 Several of the resort’s restaurants allow you to enjoy beach scenery as you dine. If you stay in the Presidential Suite, you will enjoy exclusive access to the daily five-course Chef’s Plate menu, which exposes you to a variety of new flavors paired perfectly with fine wines. As your wedding approaches, don’t hesitate to throw a memorable welcome or rehearsal dinner — Hyatt Zilara Cancun restaurants are perfectly suited for such occasions. Later, hit up one of several bars for a delicious cocktail. If you need a brief escape from the hustle and bustle of wedding excitement, enjoy a romantic in-suite meal or a nightcap with the love of your life. 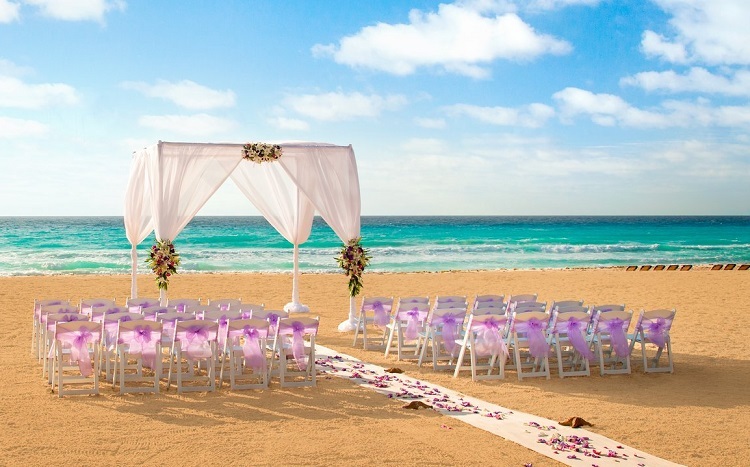 An unforgettable wedding experience awaits at Hyatt Zilara Cancun. One day, you’ll look back at your nuptials fondly — and you’ll thank yourself for booking your destination wedding in Cancun.